Take a group of fun-loving monsters, add a dazzling array of underpants in all shapes and sizes and you've got a recipe for toddler entertainment! This bright, bold book is laugh-out-loud gorgeous. 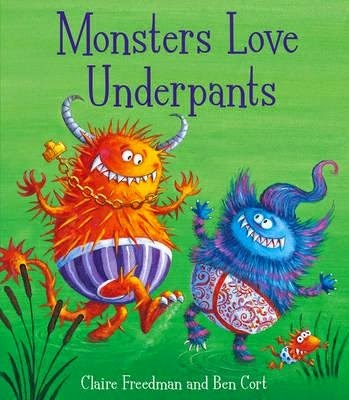 From the monsters prowling through dingy dungeons in their armour-plated underpants to the large beach-loving monster doing battle with the mother of all wedgies, every page will inspire chuckles from kids and adults alike. This isn't a deep and meaningful picture book with a worthy message. It isn't going to teach your child any social skills either. But it is going to hopefully inspire a love of words and rhyme and have them happily turning its pages again and again. And sometimes that's just what a book should do.